A part of being young means developing the ability and the interest to actively participate in the society. Youth participation is not a “thing” that can be ticked off once an activity or project is completed. Rather, youth participation is an approach which promotes inclusive and sustainable societies. Although young people and their capacities are increasingly recognized and valued, it is important to be aware of the various forms of youth participation that exist. One of the most well-known theoretical youth participation models is Roger Hart’s (1992). His “Ladder of Participation” is a way of looking at different levels of youth participation from “manipulated” (bottom of the ladder) to “shared decision making” (top of the ladder). The intention of this model is not to claim that we have to be at the top rung, but rather, that we should try to move away from the lower rungs of non-participation and think of ways to foster youth engagement. 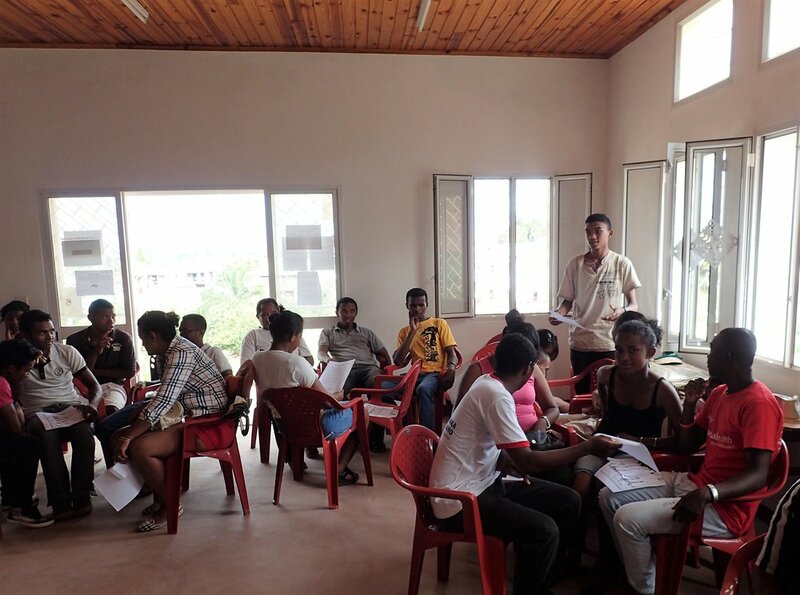 In Madagascar, where just over 60% are under the age of 25, the importance of youth participation is indisputable. With this in mind, Malagasy Red Cross attaches great importance to attract young people and retain them in the organization. 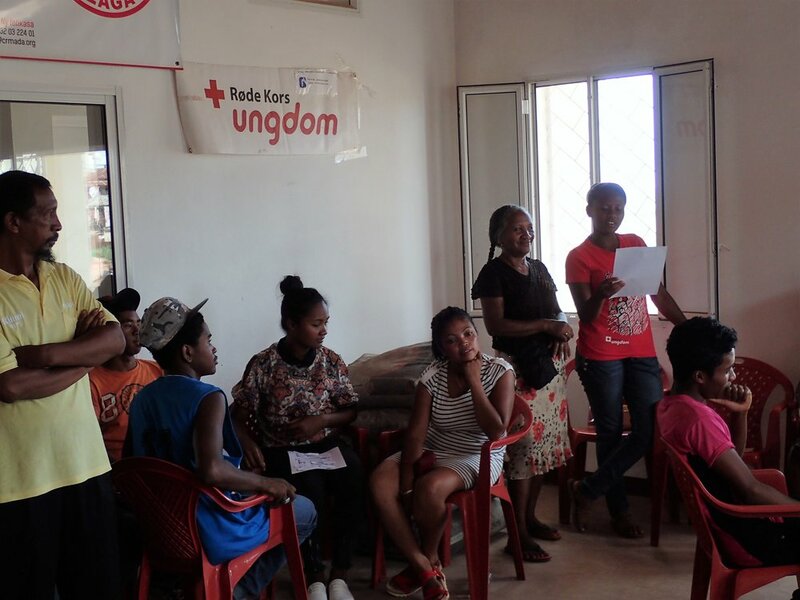 The youth programme of Malagasy Red Cross therefore strives to train young people, encourage them and empower them to engage in humanitarian activities. When working as Youth Delegates in Madagascar, we interact with numerous young Red Cross volunteers who are determined to make a difference in their local communities. A part of our work is to foster reflection on the ways young volunteers can participate in Red Cross activities and the factors which impede or facilitate their participation. Last Saturday we facilitated for an intergenerational interaction activity on this topic. Volunteers in all ages worked together to familiarize themselves with the “Ladder of Youth Participation” and to discuss where on the ladder they find themselves. Recreating and discussing the "Ladder of Youth Participation". To promote, develop and ensure an environment where young people actively can contribute with their ideas, capacities, skills and even take the lead requires intergenerational effort. Ultimately, climbing the ladder of youth participation is an ongoing process and we enjoy taking a part of it in Tsiroanomandidy district.